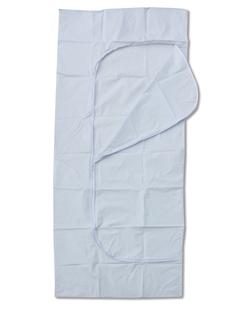 Our most popular bag, the Classic Standard Duty measures 36"x 90" and is our most economical bag in service. Made from durable white vinyl, our Standard Duty features an envelope-style zipper and 3 identity tags. Contact Classic Plastics for information on prices and quantities.